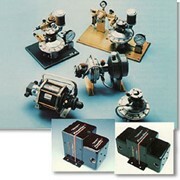 Booster pumps can transport different types of media. 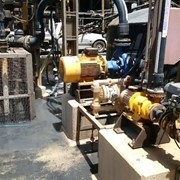 Some booster pumps use abrasive, acidic, corrosive, combustible, or hazardous materials. Others use wastewater, salt water, sewage, sludge, ash, or rendering wastes from food processing. 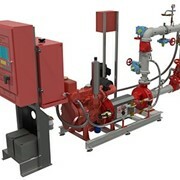 Liquids, liquids with solids (slurry), and liquid metal are also used to increase system pressure. Depending on the application, other media used include gasoline, diesel fuel, oil, lubricants, chemicals, and coolants. 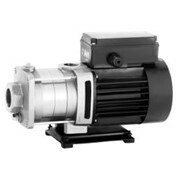 Booster pumps are made of aluminium, brass, bronze, cast iron, plastic, or stainless steel. Power sources include AC or DC voltage; pneumatic or hydraulic systems; gasoline, diesel fuel, or natural gas; steam or water; and solar power. 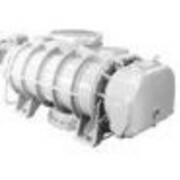 Booster pumps include a pump stator / rotor assembly that is mounted either vertically or horizontally, depending on the orientation of the media. Close-coupled pumps mount the pump end on the motor shaft. 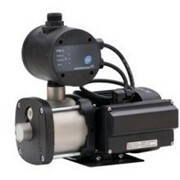 Frame-mounted pumps mount the pump end on a bearing frame that is coupled to the motor. 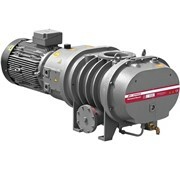 Booster pumps provide a variety of optional features. 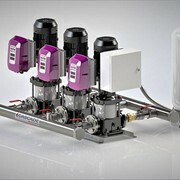 Multi-stage pumps move compressed fluid from an initial stage to successive chambers or stages of pressurization in order to generate higher levels of pressure than are possible with single-stage pumping. 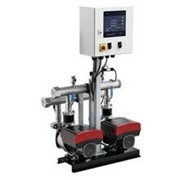 Typically, both single-stage and multi-stage pumps have a pressure gauge. 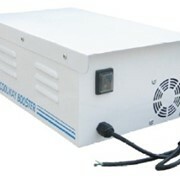 Some booster pumps are designed to function in special environments. 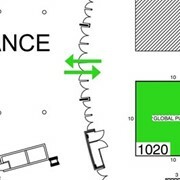 For example, explosion-proof pumps enclose parts that could cause the transfer media or surrounding atmosphere to ignite. 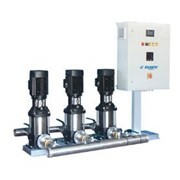 Hygienic pumps are fully sealed to eliminate leakage and contamination, and corrosion-resistant pumps are constructed of materials such as stainless steel. 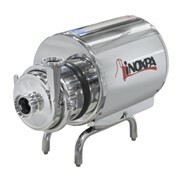 Non-clog pumps are configured to pump sticky or stringy materials that could clog other types of pumps. 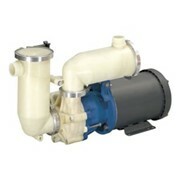 Wash-down duty pumps are designed to perform better in wet environments, including food processing plants and dairies, as well as other high humidity areas. Sanitary pumps meet strict guidelines for sanitary process applications and include classifications and ratings such as FDA, USDA, and 3-A.